First, let me start by thanking John Tur for sharing his knowledge with me, and my classmates. 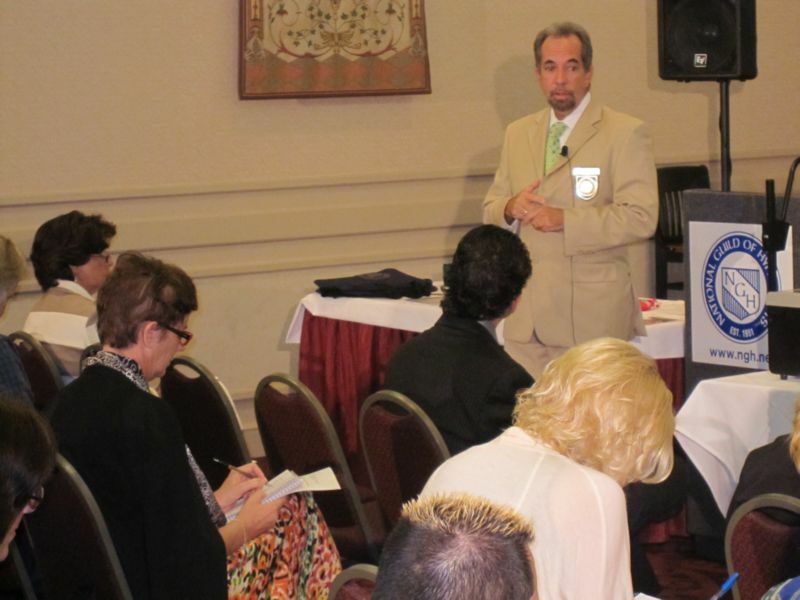 The content of the Consulting Hypnotist course is very intense, and demanding. However, with John’s hands-on approach, the curriculum becomes easy to comprehend, and fun to investigate. Thus, opening your mind to a multitude of possibilities in a new career as a Consulting Hypnotist. As a 90% Atheist and 10% Agnostic (if there is such combination…), I can affirm that John’s approach to regression hypnosis has definitely affected positively my perception of life, its ambiguities, and its possibilities. Religion (or lack thereof) is not important when it comes to hypnosis. All you need is to be an open-minded person, and be willing to develop your skills as a Consulting Hypnotist. I’m looking forward for new seminars held by John Tur. 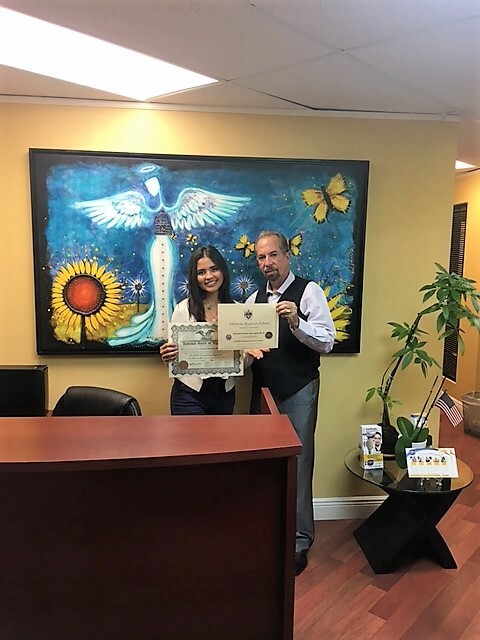 My experience with you in hypnosis therapies were wonderful. John Tur cure me. The cancer malign tumor disappeared and regarding the 3 other cysts, 2 out of 3 disappeared on March 2 and one is much smaller than before. Thanks John for your invitation and for this gift of life you have given me. You can count with me for everything. I would like to say to you how important this Hypnosis training is in my life. I feel as I have gone through a rebirth process. I have learned so much in such a short time, thanks to your way of sharing information based on true love. I know now, you love doing what you do and you do it with love. I am a different person I see life from a positive, strong and healthy point of view. I fell blessed to have meet you, to have gone through the hypnosis training. I have the tools to work and help many people heal themselves and this is wonderful. I feel great about it. Love and gratitude to the universe and you ! 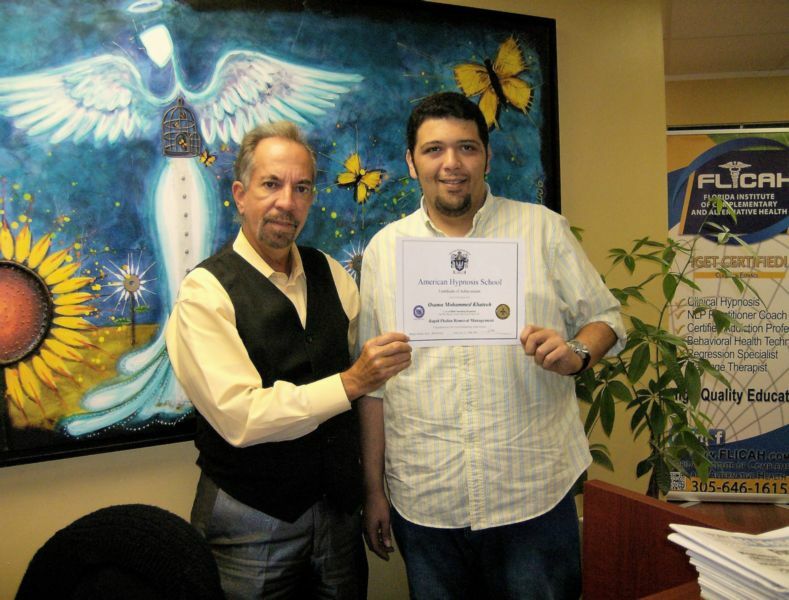 John, I had an amazing experience with the Hypnosis Course which I took with you. The practices that were developed have been really interesting and life changing. In my case, I have solved some pending problems, both physical and emotional. Also, it is a wonderful tool that will allow me to also help other people. I’m very grateful. Regards: Silvana C. – MiamiGreetings. I’m so happy with my Hypnosis sessions, since I was able to analyze myself and become clearly aware about how experiences from the past have been slowing down my life without me being aware of it, even when those experiences can maintain a person making the same mistakes and not being able to move forward in life. A crisis at 12 years old and an accident at 41 years old are strictly related to a similar situation…I’m aware now from where both experiences came from in my first session. Daily statements and working on the base of forgiveness are today’s goal, to forgive my parents and myself for omissions and commissions…freeing myself from fear!!! so that I can be able to help myself and other people also. I thank God and you, John Tur. 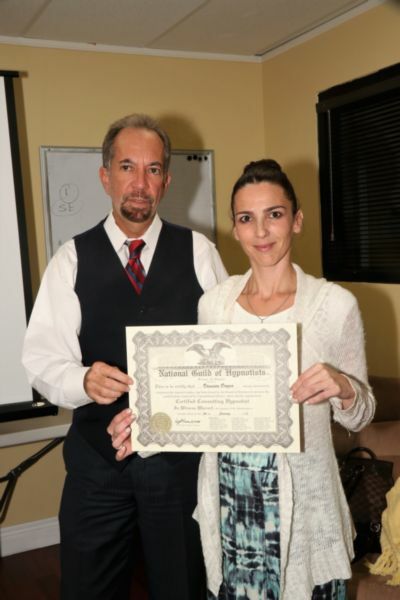 Good day: My name is Veronica and I came from North Carolina to take Hypnosis lesson with Mr. John Tur. I have to tell you that it was an incredible and inexplicable experience what I have learned this week, full of emotions and mixed feelings. Even if I had already seen one or two videos about hypnosis before, this course went completely beyond my expectations. I thank John and all my fellow students for the great knowledge that they gave me. And of course, I recommend this course to any person that wishes to learn new knowledge about how life works in general. God bless whoever is reading this message, today and always. 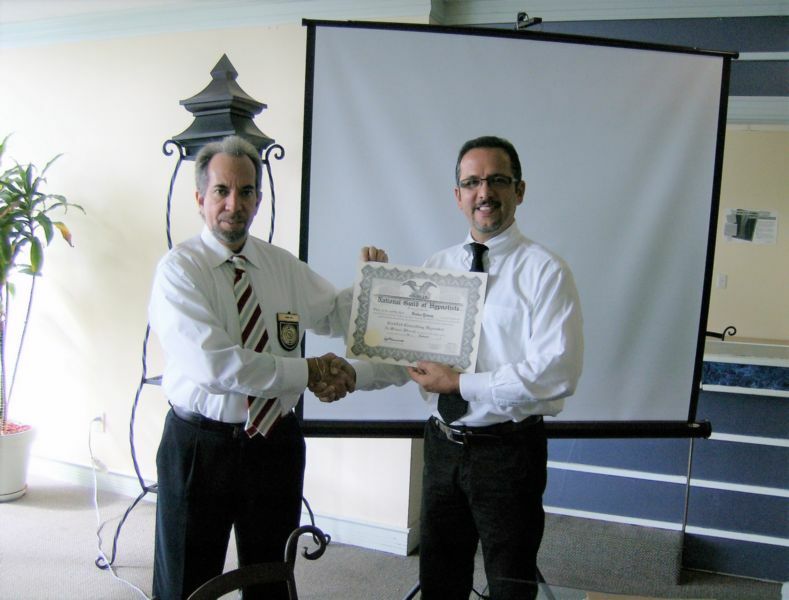 Having taken classes in American Hypnosis School was the best thing that could ever have happened to me. I have always wished to help other people far beyond the usual way. I became aware and I try to see the best things in all human beings. When I arrived at the college, I felt so calm in this place, and with the education that John granted to me I even became more comfortable. He is a professional of the matter, he’s sincere and very respectful and he gives us the opportunity to choose. For me, he is a great guide who facilitated me not only the learning process, but also to reconnect my life and my purpose on this Earth. Now, the only thing left it’s for me to go out to world and continue with my mission and give thanks to John Tur for being the guide who started this new road for all. 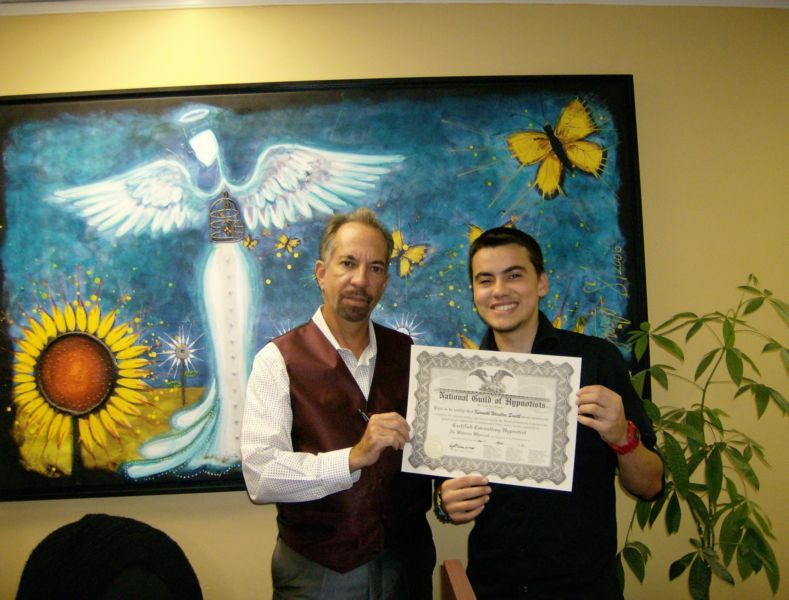 I have gone through my hypnosis training with John Tur. Not only has this opened a new career for me, but it has helped me with my personal issues. I have had tremors for over thirty years, mainly in my left hand. During my training, John has worked with me to resolve the problem. Now I can help other people, and increase my income, doing something I love. I can also live a normal life, and not be embarrassed by my shacking any longer. John Tur has not only given me a new rewarding career, but has given me my life back. John has offered to assist me at any time, with any problems that may occur. John Tur is a true professional, mentor, and friend. Thanks again for all your efforts, and I look forward to working with you again in the future. 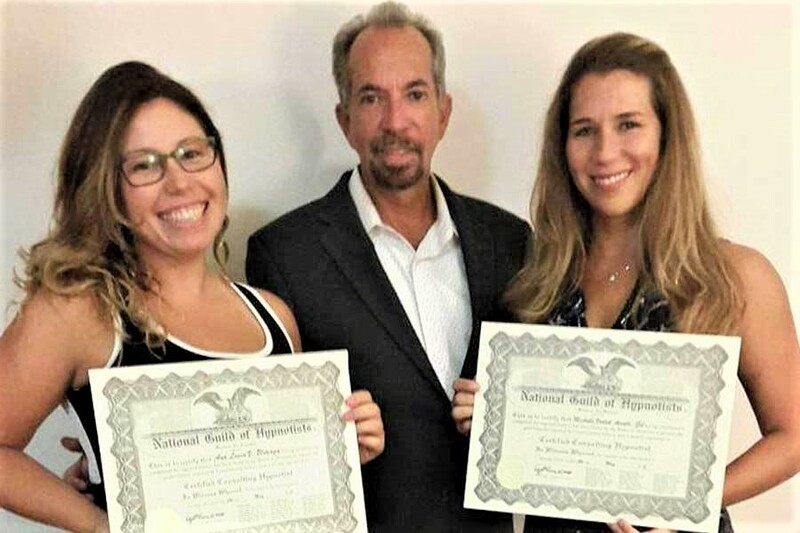 I took the NGH Hypnotherapy initial training to become Professional Hypnotherapist. 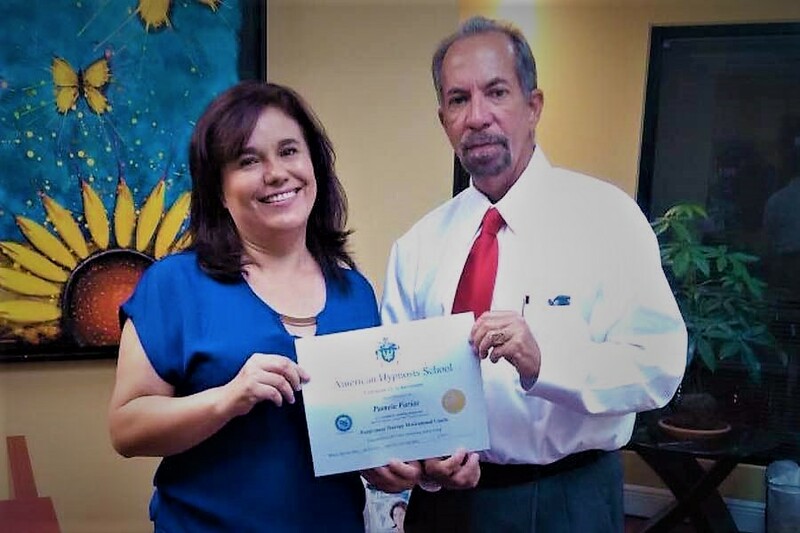 Mr. John TUR is a wonderful, warm, caring instructor whose passion is insuring that his students are more than adequately prepared to face whatever might be encountered with a client during a session. He makes sure you have a ‘full toolbox’ of advanced techniques before you graduate, with enough practice to give you the confidence you need to begin working with clients on your own. 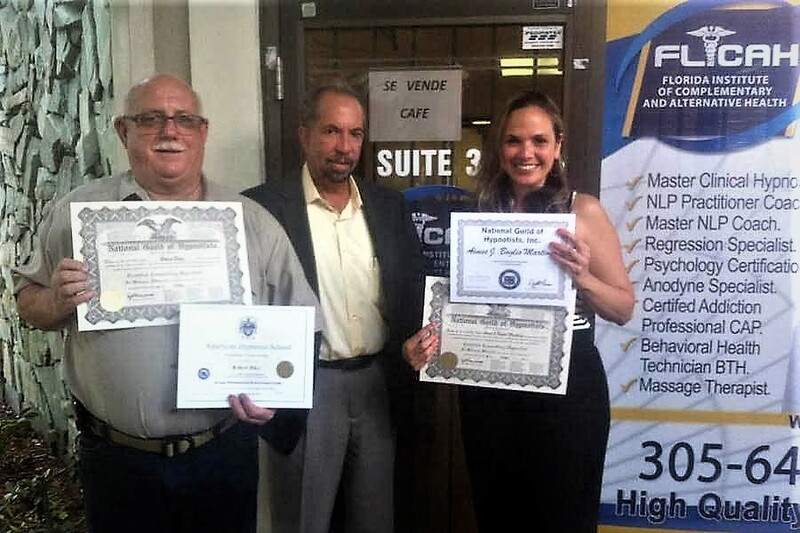 I highly recommend the NGH Hypnotherapy program with John Tur NGH CMI to anyone who is committed to achieving excellence in their career as a Hypnotherapist. I must commend you for the innovative self-hypnosis seminar. Hypnosis has always been a mystery to me and I hesitated attending this seminar. In fact, I had another event scheduled for that day and up to the last minute convinced myself to cancel my attendance to this seminar. I am so glad I choose to attend. I was absolutely impressed by your approach. It was refreshing and on point. I left a changed person. I now regularly use the techniques I learned. Thank you for sharing this information. John on the day of the seminar when we did the group hypnosis I felt as though I really didn’t get so deep into relaxation that day. BUT, apparently the process did take. Two days later while practicing my self-hypnosis regimen as per your instructions, I arrived to my home and did a quick session in my car. I turned off the radio so the clock was still on. I chose as my target time to be a little longer than our 30 second practice time. It was 4:47 PM and change, and I wanted to come out of self-hypnosis just as it (my car clock) hit 4:50PM. To my amazement and satisfaction I came out of state to see the clock change time exactly then to 4:50PM. Needless to say I was thrilled to see that the classes session did actually have an impact. John Tur’s Self-Reprogramming seminar was excellent! Several of us had been inquiring about this class for quite some time and it was certainly worth the wait. John exhibited a high degree of integrity with his hands on approach of teaching these phenomenal lessons. I felt both fortunate and privileged to be part of the interactive demonstrations during the session. I immediately put the simple techniques into action in the days subsequent to the class and found myself feeling better and better each day with very little effort! The relaxation CD that John has compiled is of great assistance in the process as well. I experienced the ability to be more focused, happier, content and energized to explore new ideas. I am anxiously waiting the advanced session. If you truly want to control your destiny, take charge of your life, explore self-awareness and build tremendous health and wealth for you and your loved ones then John Tur’s Self programming class is a MUST!!! One cannot put a dollar value to everything that we learned the weekend of March 8th & 9th in this phenomenal seminar, but you can control the power of your mind and knowledge is “power”. John is a true inspiration for everyone that surrounds him, shares his years of expertise in investing and is there to personally help you each step of the way. 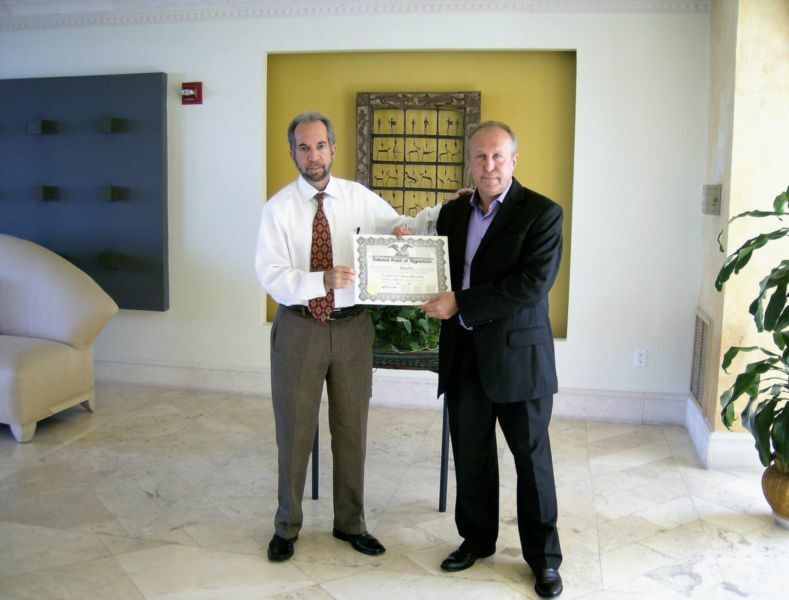 We are very happy to become a partner in John Tur’s Million Dollar Secrets mentor program. He is a very knowledgeable, caring and honest individual, and personally guides you through every deal. We have our outmost respect and confidence in his abilities because John creates a “winning” deal from every situation. We are sure that the investments and hypnosis techniques that we learned will enable us structure and take control of each situation to ensure its success. Thank you, John for sharing your secrets and for such a “great” seminar”. John Tur this boot camp was a well spent time for me. We not only learned many techniques of how to find, handle and acquire good deals, but we also learned new ways of dealing with people in such situations. John places a lot of emphasis in properly dealing with people and in using hypnosis techniques to control and improve ourselves and to control the situation when dealing with prospects. The beauty of this is that these techniques apply to any aspect of life, weather professional or personal. I recommend this course to anyone.